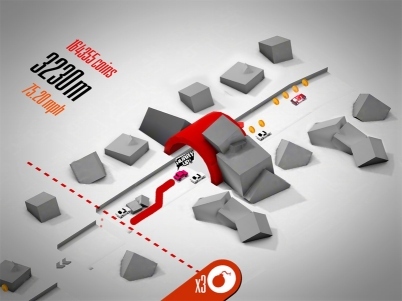 Become the king of the road with our beginner's guide. 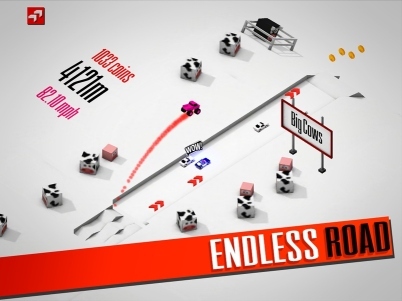 Chillingo's new endless-runner Endless Road is out later this week. It's a fantastic and pristine-looking game that plays just as good as it looks, something we noted in our review earlier today. It can be a tricky road to travel though and so we've put together all of our top hints and tips to help you become king of the road. What are coins used for in Endless Road? All of the coins you collect during gameplay can be spent over in the Garage. Here you can unlock new power-ups, grab a new car with speed bonuses, or buy yourself handy shortcuts that will take some of the pain out of your next attempt! How can I travel further in the game? Until you have a decent set of upgrades underneath your bonnet, don't go out of your way to gather coins or take risky leaps and jumps. Focus on both the vehicles ahead and your cleanest route to safety. When you do get to the end of each stage, make sure you take the exit that has the speed boost strips if it's free of obstructions. That'll give you a nice boost into the next stage. 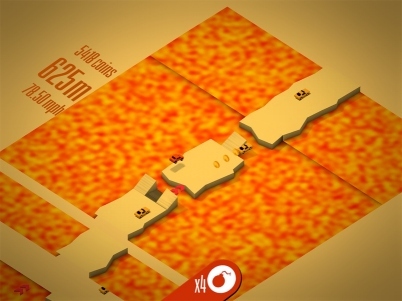 How can I get a better score in Endless Road? The easiest way to get ahead in the game is to invest your coins early on in the Power-Up section of the garage. Here, you can unlock new bonus power-ups which you'll be randomly awarded whenever you run over the icon marked with a question mark. Here's what each one does. As you'd expect, this power-up allows you to leap over congested sections of the road with a tap of the screen. Great if you're running out of speed and there's a traffic jam up ahead. Detonate this baby and any cars within your immediate proximity will be pushed back. Wait until there's a decent cluster of vehicles so you don't waste this very handy upgrade. Predictably enough, this power-up slows down time, buying you some much-needed breathing space to plan your next move. This power-up can really be a life-saver if you've slowed down so much that you're in danger of being swallowed up by the vanishing road. We tend not to use this in general gameplay as there are plenty of speed strips to keep you moving along. Save it for an emergency, otherwise you can be overwhelmed by oncoming traffic. If you want to get more coins through gameplay, then you're going to need to balance the risk of switching to a lane that might put you in danger, with staying alive longer and getting a higher reward at the end of it all. Alternatively, you can hit up the cash store to spend some of your real-life money. Prices vary depending on your region, so check the cost through your device before committing. 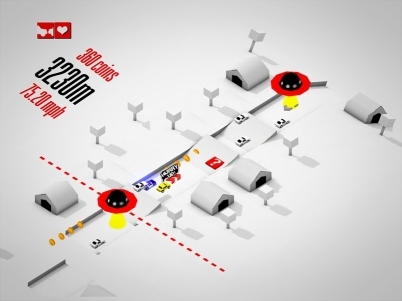 How do the missions work in Endless Road? Before the start of each run you'll be given a list of the missions you can currently work towards. These might require you to get a certain distance, or even land on a car! It's worth completing these while trying for a new distance record, as you'll be rewarded with a chunk of coins to throw at the upgrade store. How do change the colors of the game? In the upgrade store you can change the pastel appearance of the cityscape to a color of your choosing. This is nice but a little pricey, so you should definitely focus on upgrading your car and utility performance before throwing money around here! 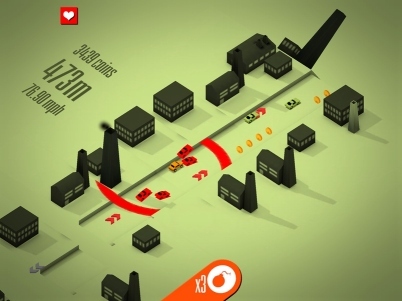 How can I avoid crashing into cars in Endless Road? Always keep your eyes further up the road and be aware that almost every car will make one lane change before settling on a position. Once they've chosen your lane, plan ahead accordingly. It's not possible to avoid every last collision, but this will help you avoid plenty of prangs. How do I get in the subway? If you see a subway opening, it's often worth taking this path of safety as you'll emerge a little later on down the road. Just be aware that you won't be able to take advantage of the speed boost strips while you're underground, so don't spend too long down there!